Responsive and competent technical support is important. Whether your questions are about integrating KEYLOK with your software or your end-customer has a problem, we are here to help. Email or call us directly and we'll reply in less than 90 minutes, on average. In fact, most of our calls are answered as they come in and we guarantee we will respond within four business hours. This means you don't have to worry about aggravating your end-customer while you wait for our help. We will even call your customer with you and provide comprehensive support until the problem is resolved. In an industry where support is known to be minimal, we are here for you. Our Technical Support employees are trained and certified before they ever take a customer call. We often help our customers solve problem using screen-sharing technology. This produces immediate results and reduces back-and-forth chats, calls & emails. Most of our support calls are taken as they come in during business hours. 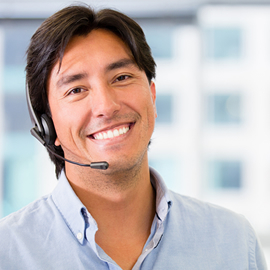 Outstanding customer attentiveness is what you'll experience when you call Technical Support. We bring the KEYLOK Attitude to all we do.